For those who dream of becoming their own boss, self-employment may seem idyllic. No more having decisions made for you — you can do what you want, when you want. However, as with anything in life, it is not really as simple as that. So before you make the transition from employee to employer, think very carefully about what such a move could really mean for you. Probably one of the first things people consider when they think about self-employment is the ability to be able to manage their own diary. As your own boss, it is in your hands to choose when to work and for how many hours each day. This is the perfect solution for those with children or other family commitments, as work can be organised around these rather than the other way around. If you decide to work from home, you can also take a stressful commute out of the equation. When the business is a success, the rewards and recognition are all yours. Ultimately, you will achieve great job satisfaction as a result of running a successful business. And the more effort you put into the projects, the more rewarding the end results will be. Being more in control about what you earn is a significant bonus to being self-employed. Owning a business enables you to draw a salary. You remain in control of how much profit goes back into the business and, of course, how that money is spent. Sometimes office politics can get you down. So although becoming self-employed may mean a less sociable work day, you can also avoid the more negative aspects of what goes with it. Most employees will find some aspects of their responsibilities boring. As your own boss, you can pick and choose projects to suit your interests. Although you can choose your own hours in theory, being self-employed is actually very time-consuming. It can be stressful building a business, and the first few years especially will require a significant amount of time and commitment to make it work. You will no longer get holiday or sick pay, so taking time off is in reality very expensive in terms of opportunity cost. Starting a business is incredibly stressful and hard work. It can take years to achieve a level of success equivalent to working as an employee. The competition is fierce, and you will need to become a ‘jack of all trades’ in order to successfully implement your business plan and market yourself or your ideas. This is no easy task and many people eventually find the pressure too great. While being self-employed may bring a lot of job satisfaction, it can also be a huge responsibility — the majority of which will rest on your shoulders and yours alone. Working as an employee offers the benefit of a guaranteed regular income. Once you become self-employed, however, you will no longer have that luxury. Unfortunately, it can take some time before a start-up or new venture becomes profitable, and in that period before that happens finances can became extremely tight. Some businesses never make much of a profit. Although you may be able to draw a small salary, financial gains may not be at the level you may have envisaged when you were writing up your business plan to take to the bank. You will no longer qualify for employee benefits, such as membership of a pension scheme, healthcare and an element of job security. These are all areas you will have to undertake to organise yourself. Being self-employed can become a bit lonely at times. Working alone cuts out office politics, but it also means not having the benefit of the more social aspects of life as an employee. Can you handle life without the Christmas work do? 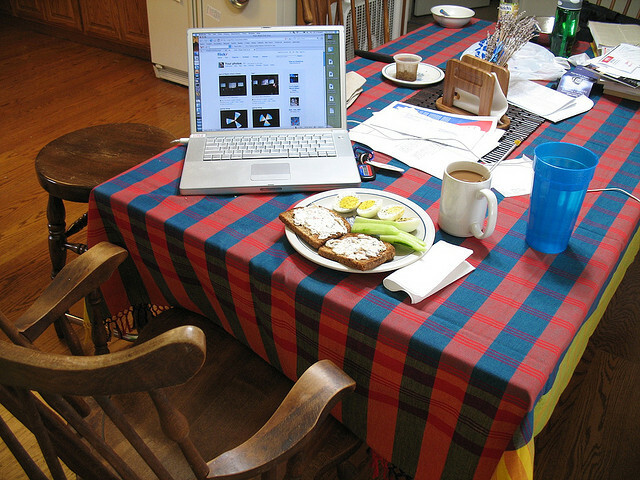 If you choose to work from home, it can be very difficult to firmly define work and home life. At what time do you switch off your phone and computer for the day? The reality is that many people who are self-employed never do completely switch off. This can be exhausting, as well as frustrating for family and friends. Once you have considered all the positive and negative aspects to becoming self-employed, you may wish to consider looking into self-employed loans such as the ones available from Evolution Money, in order to get your business off the ground. There are several types of secured loans on offer for those with a solid business plan and the skills and enthusiasm necessary to become a success.